Midas Cars Forum - www.midascarsforum.com • View topic - Mk 1 Project Zippy. Looking Like a Car. Mk 1 Project Zippy. Looking Like a Car. Re: Mk 1 Project Zippy. Looking Like a Car. That's good to know. You wouldn't happen to remember the part number just to confirm Im on the right track when I give them a call. As you now there is an awful lot of variants on their website. They came from Gas Strut Engineering, cost for the pair was £53.21 inc VAT and carriage in 2015. From the bill the Product Description is 6-15-200-476-PC-PC-80N (2090 BB-80N). The bit in braclets is what's actually on the struts. I have emailed them twice now they don't seem to answer those, will ring them eventually when I get closer to needing them let me know how you get on. Sorry Geoff I seem to have PM'ed the same message to your good self when I copy n pasted it my bad . I have read somewhere that changing a master cylinder in a Mini is an absolute bar steward of a job, mainly due to the horrible job of removing the split pins from the little roll pins at the top of the pedal arms. In short, you have to put your head by the pedals and your legs go wherever you can place them, and then you try and work with your hands practically behind your head. In a stripped Midas, it is somewhat easier, mainly due to the nice flat floor, lack of seat and no carpet or underlay. My record for getting the old ones out when I stripped the car was about 6 minutes, which included me folding my chunky frame into the car in the first place. This was helped by the previous owner having used R clips. Although I have no aversion to them, I did want to replace them, and as I didn't have any new R clips, then split pins would have to do. So, down to the job in hand: replacing the pedal box and popping the master cylinders back in. I like the arrangement I have on this Midas - a simply made captive plate on the engine side of the bulkhead with two welded bolts on it taking care of the mounting. Then it was "simply" a matter of pushing the studs up through the pre-drilled holes at the top before starting to add everything and tighten it down. This took some time, because if you're half a millimetre out, it won't go, no matter how much grunting, swearing and cursing you do. Eventually, after some interesting language and various scratches to my wrists and fingers, it was in place. I then set about sorting the master cylinders. Gaskets went on, followed by clutch and then brake MCs. The clutch MC was the same as before and went in easily. The brake MC is a brand new yellow tag item - I remembered this time to attach the pipes that go to the brake splitter on the bulkhead BEFORE bolting it down. The reason I changed the MC was that despite me refurbing my old MC, it wasn't working properly (pedal travel was very short and it locked up so I'd obviously done something wrong). I took the pedal box out because I needed longer bolts to mount the new one. The initial ones were too short and I had to modify the MC itself so I could mount it. I didn't want to break out the angle grinder with a new one hence the pedal box came out for the longer bolts. 10 more minutes and all was happily bolted up, including both sets of split pins. 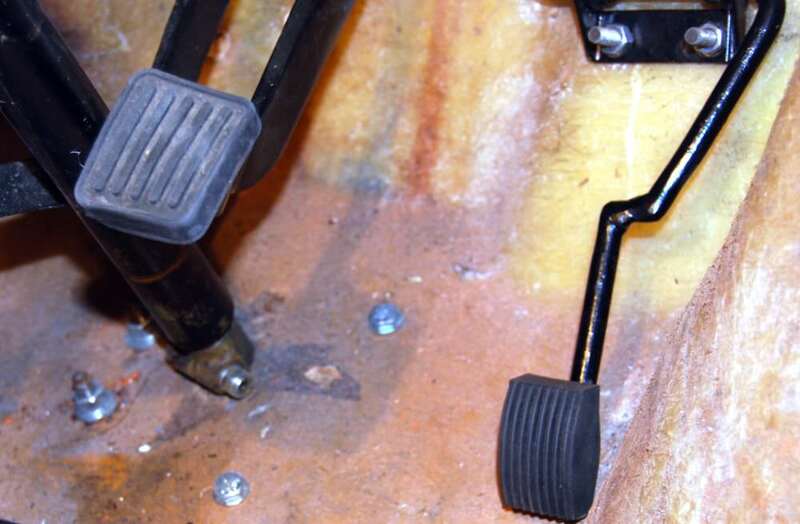 I also took the time to bolt in my now modified throttle pedal. This now clears the wheelarch properly - it's amazing what half an extra inch will do! Having already broken one rear hatch hinge by accidentally knocking it off the bench, I didn't want to do it again, so I thought I had better chuck them on the car. I made up some rubber gaskets and simply bolted them on to the hatch area. Hopefully I will never have to move them again. Brand new Yellow Tag in place. Throttle pedal bolted in and ready to go. This week I have learned a wonderful lesson in how to build a car: If there's anything that's going to be a bit difficult, do it BEFORE you start adding on bits that go around where you want this piece to be. The item that I am talking about is of course the starter motor. Mine has sat on a shelf in a box for a significant amount of time, gone through a house move and I realised that getting it back on the car may be beneficial. Out came the masking tape and various bits of card so the important bits didn't get a layer or two of paint they didn't need, and on went some primer and satin black. Once dry, I then cleaned up the ends of it using brake cleaner and the remains of a Samuel L Jackson t-shirt. It was when I went to fit the starter motor to the car that I started to use Mr Jackson's favourite word a lot. There was absolutely NO way that it would go anywhere near where it should be - neither from the top, or the bottom. So there was only one thing for it: Start taking bits off the car util I could get it in. Top hose. Nope, not a hope in hell of it fitting. Distributor cap. Nope. Angle all wrong and can't clear the (full) oil filter. Even with the rotor arm removed it wasn't enough. Out came the 7/16" socket and off comes the distributor. I managed to wiggle the starter into place and with a further flourish of words Samuel L would have been proud of, I tightened up the bolts then re-added the distributor. It is at times like this that I wonder why I do this. Then something goes right again and I remember. Sense of achievement and all that. Onward! 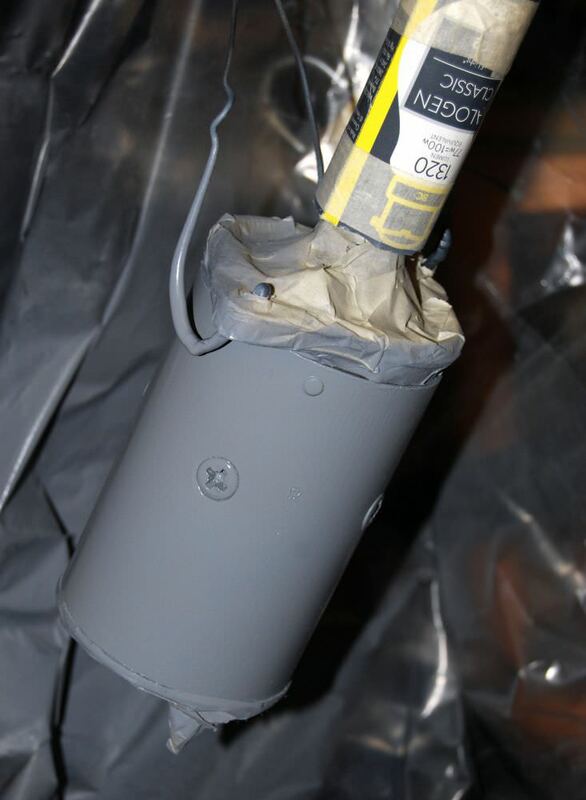 Starter primed up and ready for paint. Panted, but not yet cleaned. It's a lot cleaner now, but I am NOT taking it out to show you. Finally fitted, half the car missing, new shiny bolts. And mutterings from Samuel. A small but fairly useful update. Whilst removing half the car to fit the starter motor, I had a look at the top hose arrangement I had mocked up and thought "Nope - bin". The metal pipe, although nicely shaped and painted had all sorts of flaky bits going on inside and the hoses were just from a box of second hand spares I got when I bought the car so there was no way they were going to be permanently fitted - great for a mock up, not so much for using. New hoses next to old painted metal pipe. They look much better. Here they are fitted to the car. Shortly before I realised they'd have to come off again... Doh! Well it's been a while but I am now back in the Manroom. When I bought the Midas, it had at some point in its life been fitted with a Cooper S engine, and presumably some of the running gear which included the cylindrical SU fuel pump. Of course, by the time I got my grubby mitts on it, the S lump was long gone, as was the pump. The pump's bracket was an oddly home-made piece of bent metal which (I think) still resides in my "I'll use that one day" offcuts box. It was always my intention to use an electric pump, and I managed to get hold of a Facet Solid State pump at a good price. All I needed now was somewhere to mount it and an appropriate bracket. My initial thought was to pop it right next to the tank but once I'd got the car up onto axle stands (haven't done that in a while...) it was clear that there was only enough room for a pump the size of couple of grapes. So I moved on to the "hump" where the token rear seats would have been. A suitable area was found and some CAD design produced with the help of a Jaffa Cake box. This was duplicated in steel, drilled and bent to shape. Drilling holes on the car for it would have taken 30 seconds, were it not for the bulb in the inspection lamp blowing. Twice. (once was down to me knocking it over). I like my inspection lamp (especially as it didn't cost anything), but the ease at which it blows bulbs (a gentle knock usually does the trick) will probably see me grabbing a new LED item for Xmas. I decided that after getting more than a little grumpy I had better take a few minutes' time out... (Mrs Bounce had heard me and came out to check that I hadn't injured myself - we have a detached garage so it must have been a bit loud!). Once I had calmed myself by doing some odd jobs around the house including changing a blown light bulb (successfully and without breaking anything), I went back in and was SUPER careful with the lamp this time. Holes were successfully drilled and the pump was mounted at an angle as per fitting instructions. 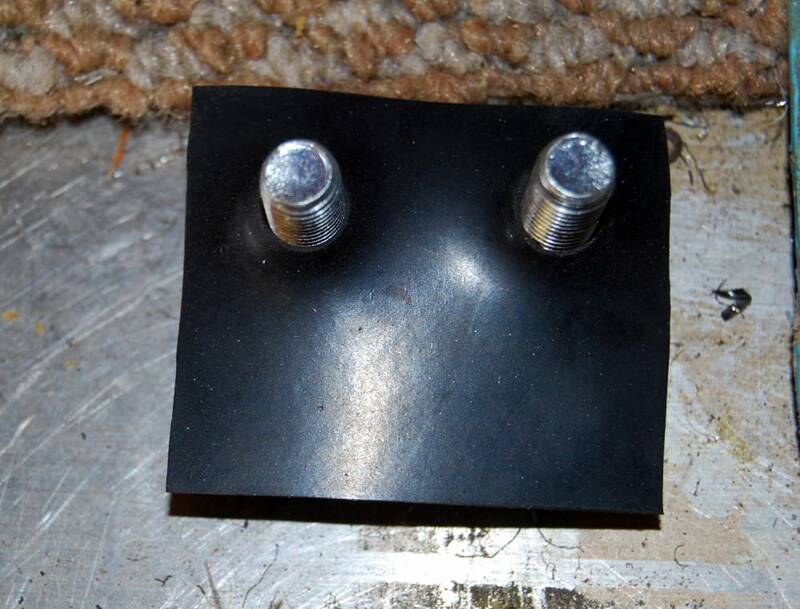 I will look into a small skid plate for it to prevent damage on speed humps, pothole, badgers etc. I then took it all off again and rounded the corners on the bench grinder and drilled an additional hole in the bracket for the pump's wires to pass through. It currently is sitting in primer before I paint it and fit it. Get pump, metal, Sharpie and Jaffa Cake box to make a template. Mocked up mounting everything together, including the bobbins. Glass fuel filter - plenty of space for this to go in now after the pump and before the main fuel line. Pump mounted on car. Protective skid plate is likely. ...and now in primer before paint. Just a very quick update whilst I had a few minutes of spare time. 'Tis the holidays and all that after all. I decided to extend the wires attached to the fuel pump; this meant finding my soldering iron (took about 10 minutes!!) and grabbing some fresh wire from my secret stash. Actually it's just a small stash but if I call it secret it sounds somehow more impressive... A bit of tinning, a bit of soldering and some heatshrink later the wires were done. I then attached everything to the bracket ready to attach to the car. I haven't done anything else as it is a touch on the chilly side and I need more gas for my heater!! Just another quickie update - the fuel pump is now mounted and finished. There's just a bit of wiring to do and a matter of fuel in the tank to get things moving. I took the little spacers off the bobbins as they weren't needed, grabbed all the necessary fixings and chucked it on the car. I drilled a 10mm hole for the power/earth wires and chucked in a grommet before feeding them through. 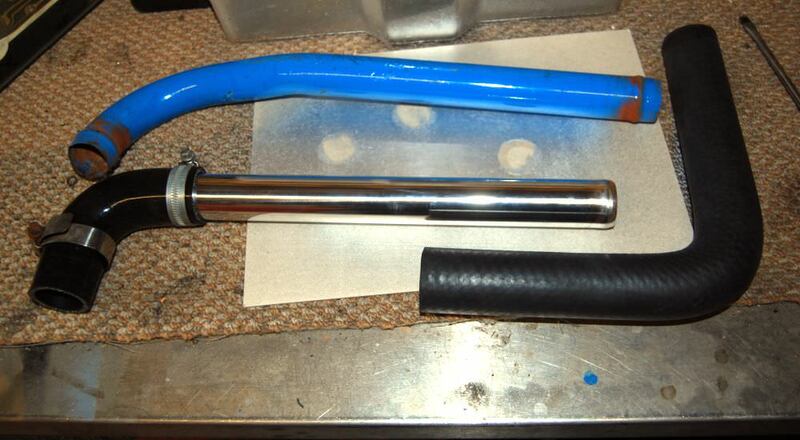 I then grabbed the fuel hose, and cut 2 sections to size before clamping it all together. There's still the matter of where to put the fuel filter, but that will simply be a case of cutting the fuel hose and adding it in. Pump fitted and all piped in. New Year, new me and all that garbage. Forget the gym/diet. I am just bunging myself in the garage until I am knackered. There's Pepsi Max & occasionally "Garage Food" aka Jaffa Cakes or similar in there so I am happy!! 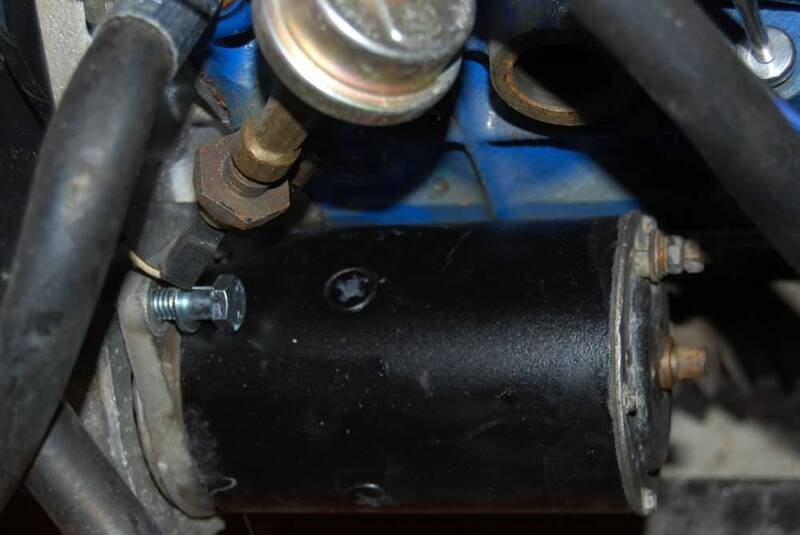 Once again I threw myself under the rear end of the car in order to fit the fuel filter. Armed with a pair of cutters, some new jubilee clips, a new P clip & my new inspection lamp I was able to simply cut, insert and reconnect everything. Granted I need to replace the screw/washer holding said P clip in place but that will only take a minute or so. After that I moved up to the front of the car and set about lifting it into the air. I found my second pair of axle stands and after cursing loudly that my jack wouldn't "quite" go under a bit of the front subframe (remember the rear end is already in the air...), I was able to eventually get it all stable and level. The reason for doing this? It was seat time. Now, I need to point out that the seat runners for these come in 2 bits - a locking runner on one side and a "free runner" on the other. Therefore it is impossible to simply take the runners off and mark where to drill without a lot of measurement so instead I kept the runners on the seat and did it the old fashioned way. Now bear in mind that there is nothing left of the original runners and bolts as these looked like they'd been left in the sea for 6 years and were a bit of a mess so I had no data to use. So first of all I sat in the driver's seat and moved it around until I felt comfortable. As I am neither short nor tall (5ft 9") I took this info as the middle of the runners' range. Having crudely marked on the floor where the fronts needed to sit, I moved the seat back on its runners and marked where to drill. 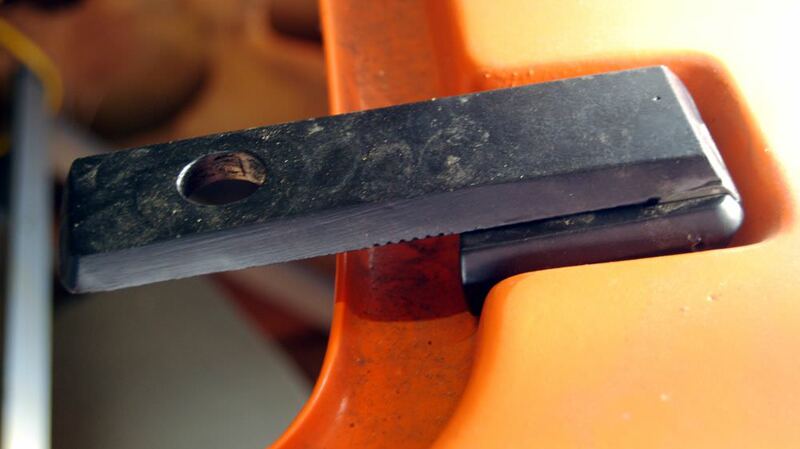 Once the front bolts were in place, it was a simple matter of sliding the seat forward on the runners to mark the rear holes and drill them. At least it would have been but for some reason it would only go so far. So I had to take the seat out to fully move the runners. Still, once back in, it was easy to do and the seat looks good. I'll do the passenger seat next time as I ran out of time today. 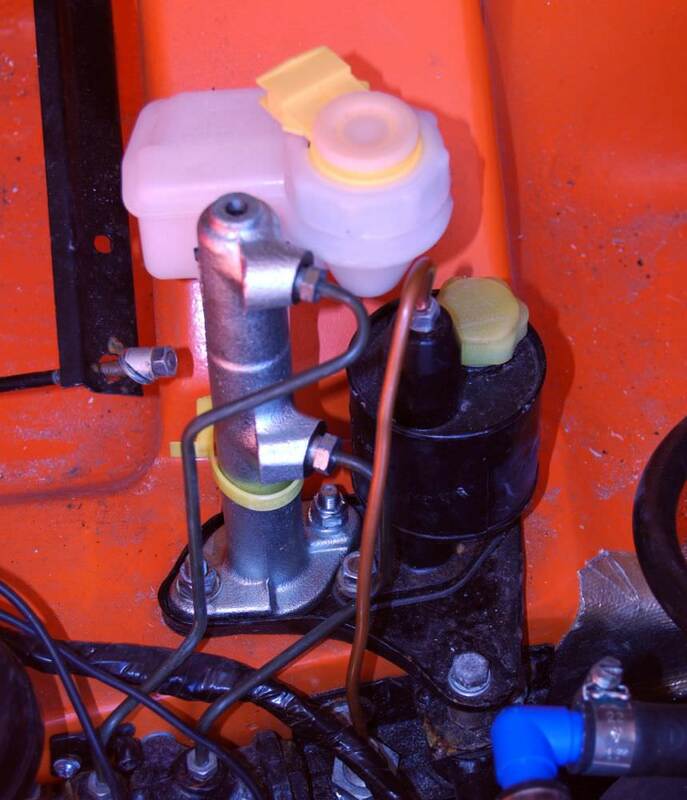 Fuel filter in place. Screw/washer arrangement will be replaced. And rears sorted after a fight.